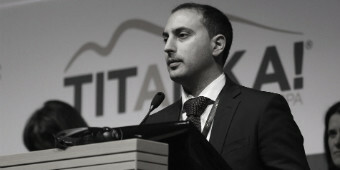 Founding partner and Managing Director of TITANKA! Spa, a leading web agency with both tourism and corporate clients throughout Italy. Since 2000, he has developed web projects and coordinated developers, designers and web marketing experts in order to achieve measurable results in the digital environment. He provides advisory activities for SMEs, national bodies and institutions, companies in the tourism and accommodation sector and large international groups. His favourite pasttime is to experiment with this team of experts on new innovative techniques to increase online revenues of both accommodation facilities and e-commerce websites. He is the creator of MYREPLY - The professional room sales method: the new online tool that is revolutionising sales and customer relations in the tourism environment. Strategies and tools to increase direct sales, which perhaps you don’t know but which you must apply as soon as possible.